Are you looking to create a map interactive application to locate markers with points, or to highlight an area by polygon or to draw or show a river or roads line with polyline? With Leafletjs library and GeoJSON as GIS data, we can easily create a map which we are looking for and render the output in browser. 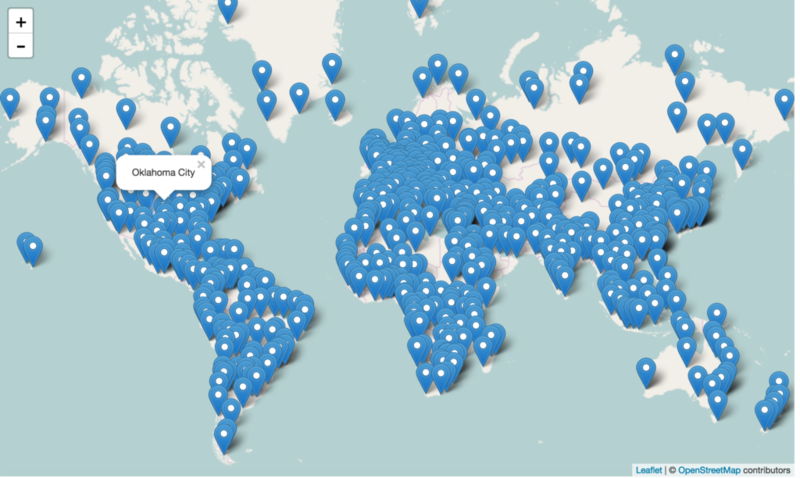 Leaflet js is an opensource small library to create interactive map. GeoJSON is one of the GIS data structure which stores geographic data in JSON format. 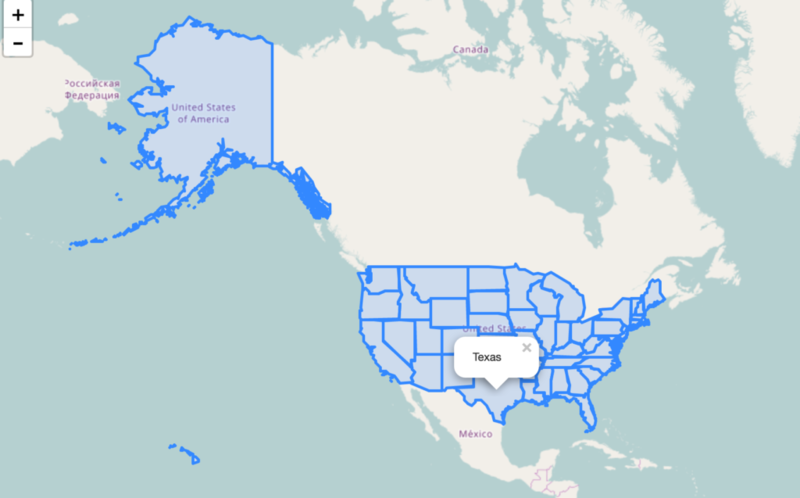 GeoJSON supports point, line, polygon, multipolyline, multipolygon and Geometry collection which can represent a geometry, feature or a collection of features. 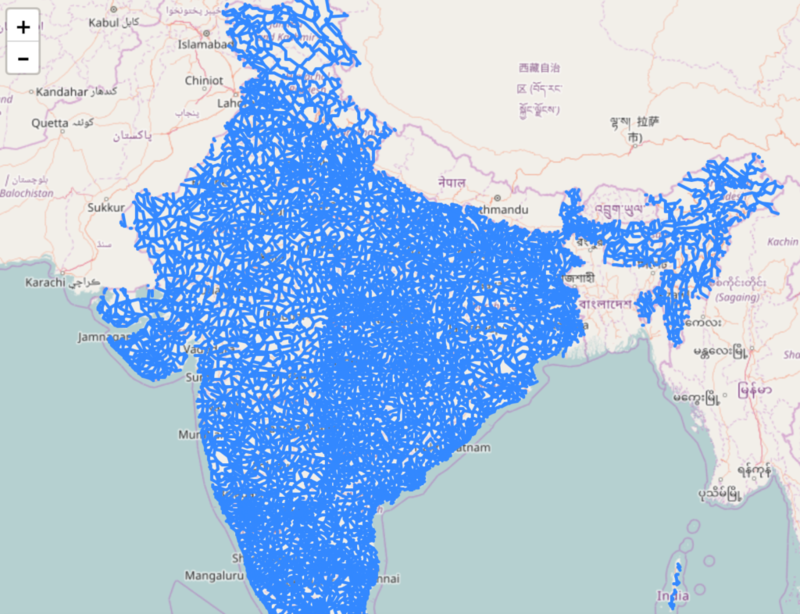 A detailed structure of GeoJSON would be written in separate article. This Article would let you know how to render and load geoJSON file with the help of leaflet js library. Also you would also get an idea by this article to implement a click event over a GeoJSON file and fetch information associated with the feature of GeoJOSN data loaded as map. If you are not familiar with Leaflet, I would recommend you to read first the Getting Started tutorial with Leaflet js Library to create map application. Above script would output and render an osm base map. Now lets start adding different features on map one by one with GeoJSON file. Add following script, and replace the ‘usa_adm.geojson’ to the file you are want to render. Finally, we are left only adding a click event to get the features data. With the help of Leaflet L.geoJson optional object parameter with key “onEachFeature“, we can add and define click event on every feature of the layer. Here we would be fetching the attribute data of the feature clicked on Polygon GeoJOSN file. So before writing any script, we need to list out the feature properties list. You can get those properties key name easily if you are familiar with JSON files and structure. So your final leaflet geojson code combines as i.e For adding polygon GeoJSON file on map, with click event and fit to extent functionality. Adding polyline Geojson with leaflet library is same as adding polygon file. So the above code would work for loading polyline GeoJSON file. 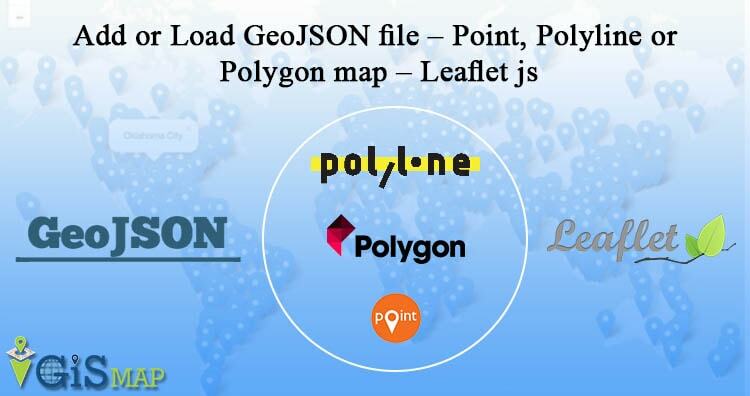 Just you need to replace the file name with your polyline GeoJSON file and features properties key have to replaced by the actual key name, of which you want to retrive information. Adding Point GeoJSON file is same as loading Polygon GeoJSON file. Here is the output you can see for the famous world Cities. If you find any difficulty in adding or loading GeoJSON file on map with leaflet library, do comment below with your queries. How do you apply the fill color that was defined in geojson?